A science geek has joined a growing Newton Aycliffe-based marketing agency. Reza Snowdon, who has a Masters degree in Cognitive Neuroscience, is Thrive Marketing’s new senior web developer. 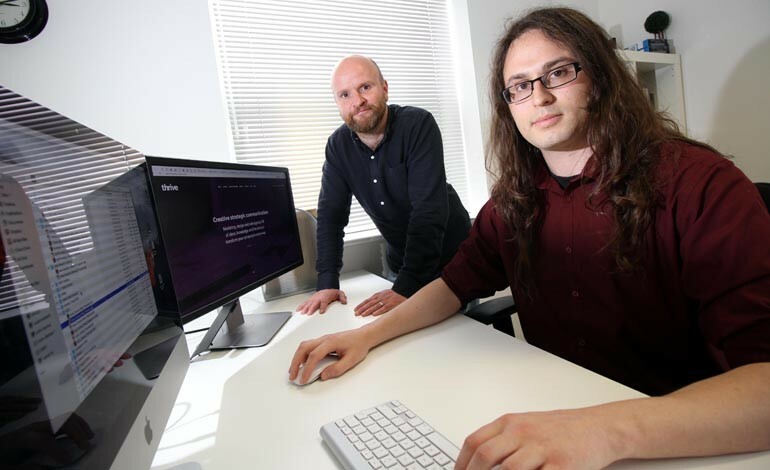 The 27-year-old, from Northallerton, is now enabling Thrive to reach its goal of creating a hub of designers, developers and content creators. The appointment will also help Thrive improve its online offering to clients, developing top lead generation websites to enable current and new clients to shape their online presence and brand for the modern day client. Reza, a keen clay pigeon shooter, is Thrive’s first senior appointment in the web and design studio, enabling director Johnny Woods to further strengthen the firm’s offering as a leading creative agency. As senior web developer, Reza will be on hand to offer his knowledgeable expertise in online web and design solutions, thanks to his background producing CRM systems, GPS tracking systems for trucks and lorries and other knowledge he gained while freelancing. Although Reza hasn’t come from a traditional background of computing – he gained his Masters degree in Cognitive Neuroscience from the University of York – his own business experiences and personal knowledge of computer software have enabled him to hit the ground running at Thrive Marketing. Since he started at Thrive in June, he has already played a part in launching the company’s new HubSpot COS-based website – Thrive is only one of only two North-East approved HubSpot agencies. Reza said: “It’s been great to bring my knowledge to the team to support the business, but also take on new and exciting projects and briefs. Thrive is hoping that Reza – a keen clay pigeon shooter – will be a main part of the company’s future growth with plans to offer current and new clients the chance to have their websites reviewed for 2017 and beyond. Johnny added: “The web offering that was provided – by us or any company – three years ago was brilliant at the time, but now we need to look at what has changed and how that could completely revolutionise an organisation’s online marketing and capabilities in 2017. 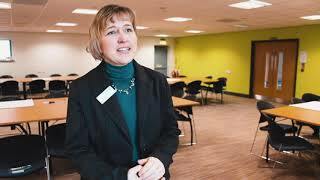 • Thrive Marketing is an inbound marketing agency based on Aycliffe Business Park, and its new website can be viewed via www.thriveability.co.uk. Next article BikeWise promises to be just pawsome! Previous article Pensioner Charlie is ready for the new season!